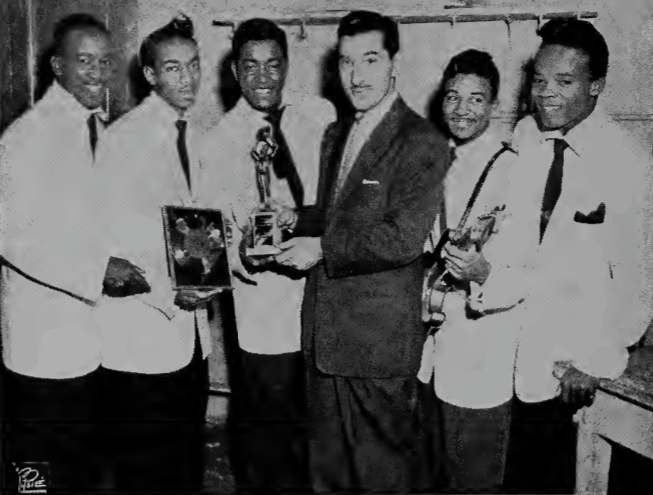 NEW YORKThe Midnighters, Federal Record's big recording stars, receive their trophy from Bob Austin (center) for copping first place in the race for best rhythm and blues vocal group of '54. The boys had a number of big hits in '54 including the #1 record "Work With Me Annie". One of the boys holds a gold record from Federal for the same song.